Brighton deserves its reputation as London by the Sea – it’s vibrant and cosmopolitan with a mix of architectural styles that demand exciting interior design solutions. 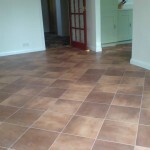 One of the most challenging can be getting your flooring right. 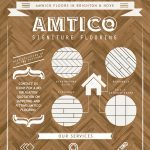 Amtico comes in a range of finishes that accurately mimic wood and stone. The only limit to how the tiles or planks are laid is your imagination. If you’re looking for high quality vinyl flooring which behaves more like a wooden surface, you’ve probably come across the brand names of Karndean and Amtico.